Outcomes reporting – events, risk stratification, disease activity scores, and external benchmarking service. DAWN RH Rheumatology software has been developed as a browser-based, patient-centric, comprehensive results and follow-up management application to help clinic physicians’ review and track patients in a safe, reliable and efficient manner. Read our report, Why Computers in Rheumatology. Take a look at how DAWN RH benefits The Royal Berkshire Hospital (video). See what our customers say about DAWN and why our customers choose 4S DAWN as their preferred rheumatology software supplier. View our customer list. View our ‘Saving Time’ video below and see how DAWN RH can benefit your service. DAWN RH has an on-board letter-writer with templates set to your specification. Outputs to paper / fax / e-mail or to another database are audited automatically to give you traceability on all communications. 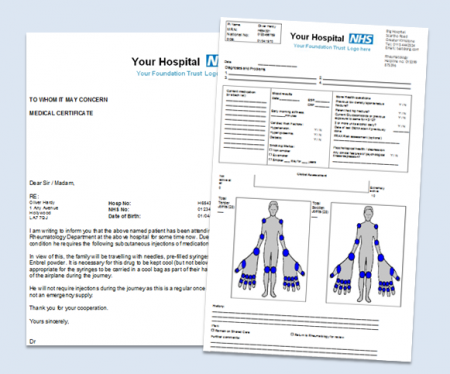 Messages can be sent individually or in bulk to patient / carer / healthcare professional or the whole team.